The Plymouth Prowler, later the Chrysler Prowler, is a "retro" styled production car built in 1997 and 1999-2002. 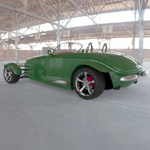 The design of the Prowler was said to have been inspired after engineers were given free rein to create whatever they wanted in a "hot rod" or "sportster" type vehicle. 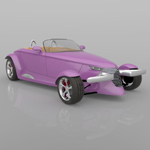 One of the most striking design features of the Prowler are the open, Indy racer style front wheels. 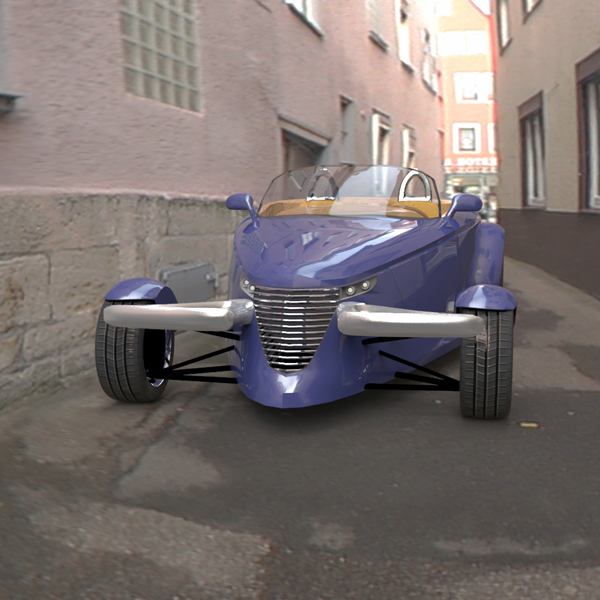 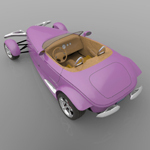 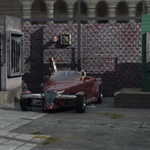 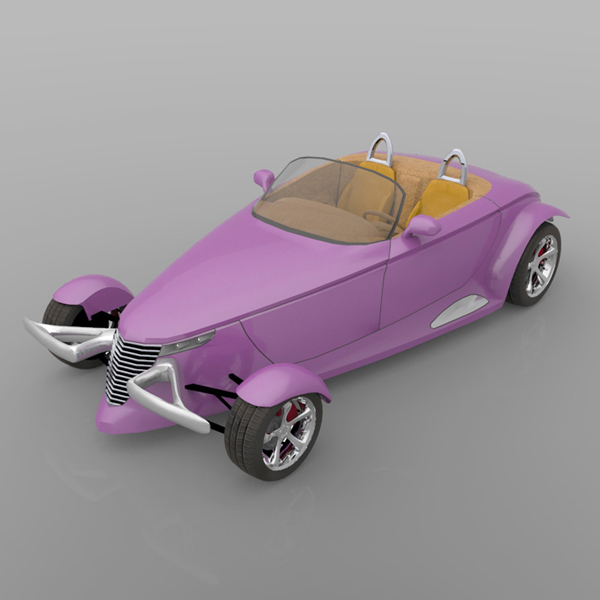 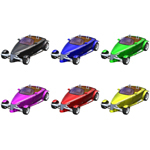 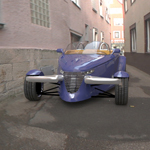 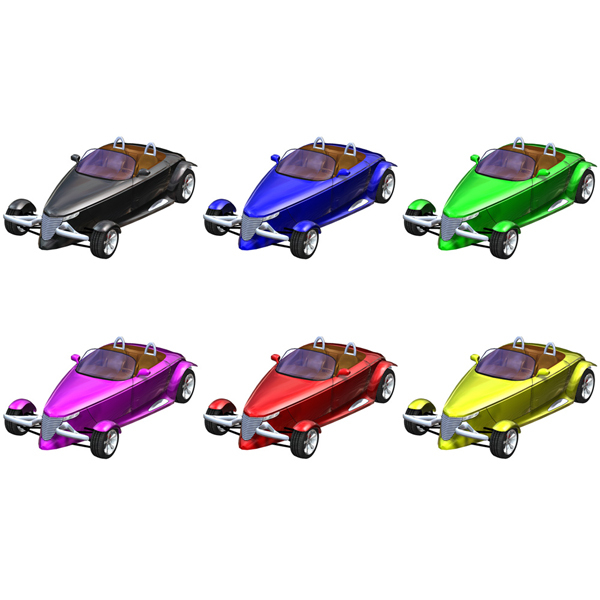 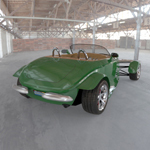 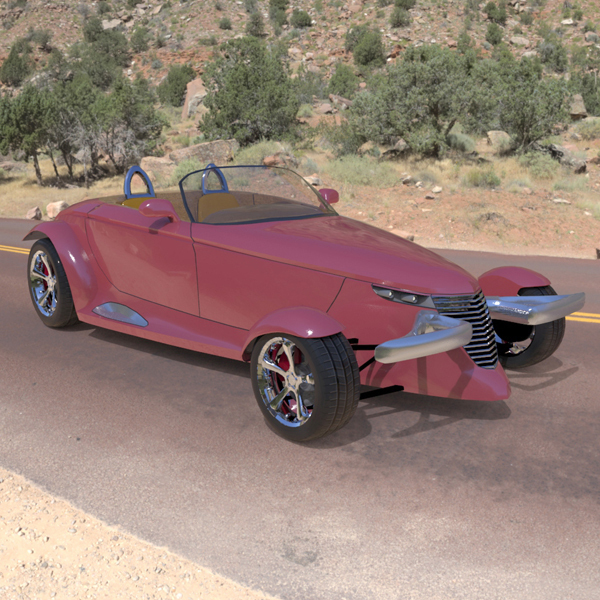 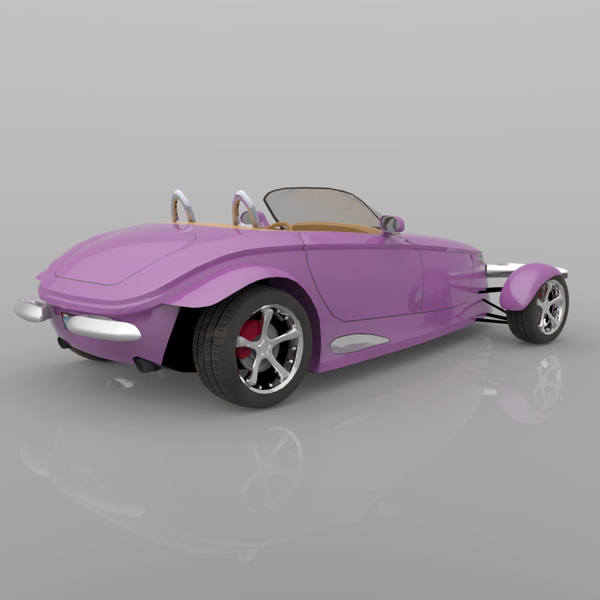 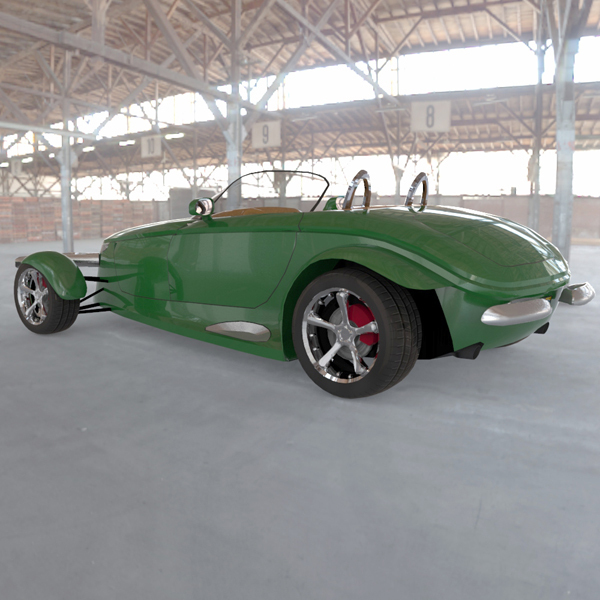 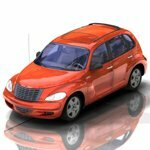 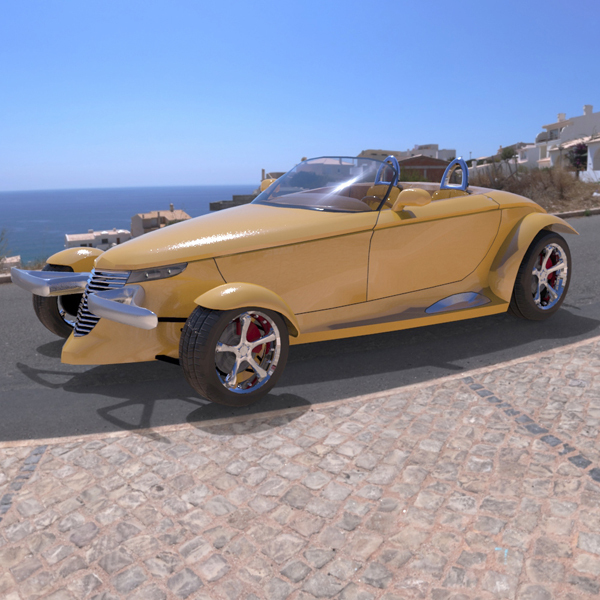 This digital model is based on the 1997 version of the open-top Plymouth Prowler. 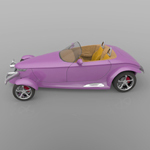 Digitally scanned from the actual car, which gives the digital model a highly accurate shape. 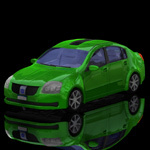 Poser figure (obj, cr2/ png), with approx 30,191 polygons. 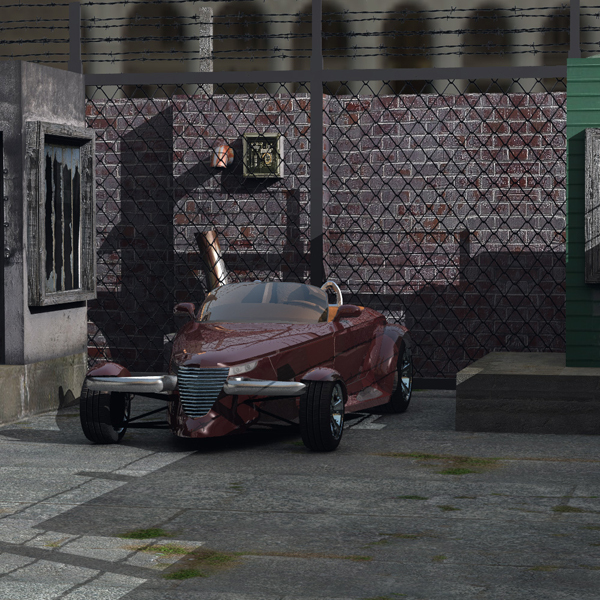 Doors can open and close (with ERC dials on the BODY). 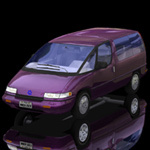 - Includes a basic trunk interior. 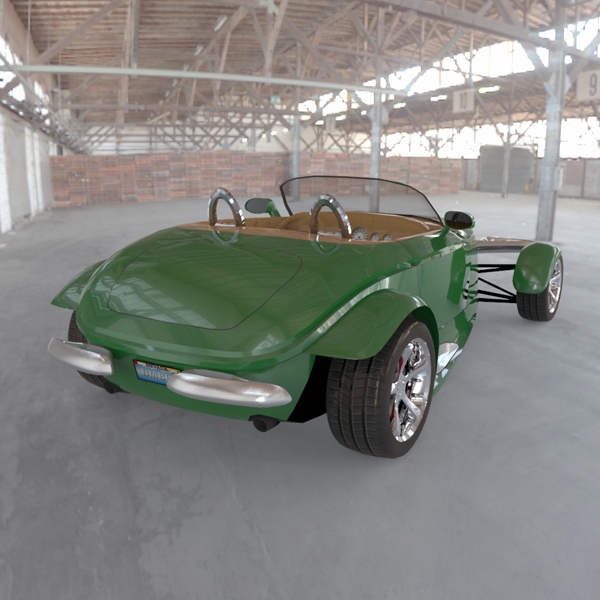 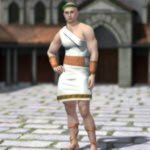 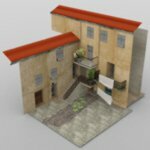 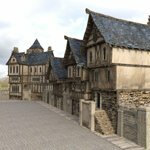 Textured using a combination of texture maps and Poser shader nodes. 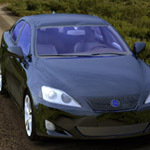 Texture maps for the fabric materials are included if you want to use this model in another software program.